Creta from Hyundai has got a very good traction and response in India. 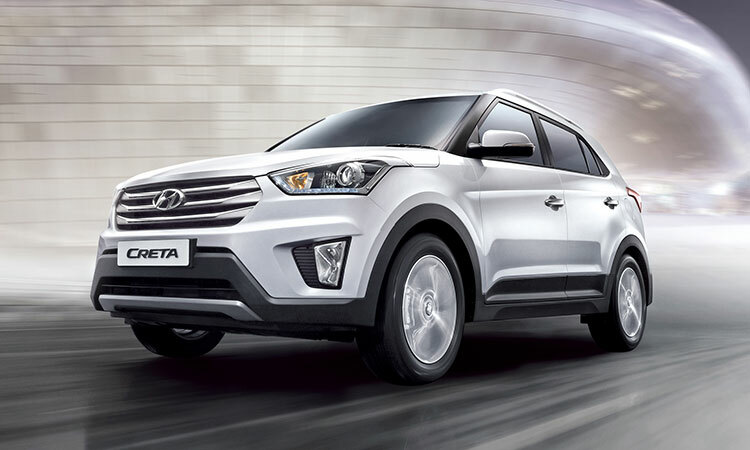 Creta, the first-of-its kind premiere SUV from Hyundai scores when it comes to its unique design and style. There has been an increase in demand for Hyundai Creta for this festive season – although the Creta has been delivered to 14,000 customers, the company has not been able to fulfil all the bookings which it received and there is a waiting period of 4 months for any new Creta customer. To solve the problem, Hyundai announced that the company will be increasing the production capacity of Creta to 9000 units in the month of December. Hyundai Motors India Limited (HMIL) has received more than 55,000 bookings in less than 75 days of its launch, leading to a total waiting period of 6 months. The Korean car manufacturer initially planned to manufacture 5,000 units of Hyundai Creta every month, but the strong demand for the new SUV led to increasing the capacity to 7,500 units last month. In order to further reduce the waiting period of Hyundai Creta, the company has now decided to increase the production capacity from current 7,500 units to 9,000 units per month. In an exclusive interview with The Hindu Businessline, Mr Bo Shin Seo who is the Managing Director and CEO of Hyundai Motor India Ltd., said in a media statement that Hyundai has increased the current monthly production volume of the Creta and Elite i20 due to the strong demand. The car manufacturer will be increasing the existing production capacity of 7,000 units each to 9,000 to 10,000 units each from December. Mr Shin Seo also hinted that the production will see increments of around 2000 units every month there onwards.